Reconditioned Power Steering Pumps, based in London, Essex. 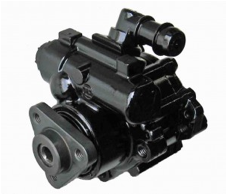 Our remanufactured Power Steering Pumps undergo stringent testing to ensure that your pump has the correct flow and pressure to maintain the highest quality unit available backed up with our 1 year 12,000 miles warranty. Each Remanufactured Power Steering Pump is striped, cleaned, inspected and all Ball Bearings, Needle Roller Bearings and the soft internal components i.e. Oil-Seals, O-Rings, Oil-Control Teflon Rings and Gaskets are replaced. The Outer Cam Ring profile is re-ground, the front and rear end plates are lapped and the seal areas are linished ready for re-assembly. The Unit is then re-assembled to within the manufacturer's specifications. 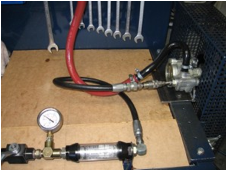 The unit is then mounted on to our Power Steering Pump testing bench and it is tested for correct function using our own specially designed testing equipment. We test each unit for correct flow and pressure on low speed (Approx 500 RPM) and hi-speed (Approx 3000 RPM) to ensure that each Power Steering Pump has an exceptional road feel.